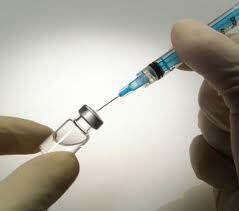 The major benefit of vaccination is the decrease of occurrence of numerous diseases. There is much evidence that documents this decrease, and few doubt its validity. However, those against vaccination claim that the decrease in illness can be attributed to changes in society, such as high hygiene standards, access to clean water and better health care. There are many risks associated with not vaccinating children, the most obvious being the resurgence of illnesses thought extinct or incredibly rare. Australia and New Zealand are both in the midst of a pertussis outbreak, better known as whooping cough, which has been blamed on the refusal of parents to immunise children. Whooping cough is most likely to affect children under one, who are too young to have completed their full schedule of vaccination yet. One in 200 babies who contract whooping cough will die from it. In Wales, over 800 children have been diagnosed with Measles, a disease preventable with immunisation, due to low uptakes of the MMR vaccine in the late 1990's. While not all scientifically proven, there are claims that vaccinations lead to adverse side effects, such as convulsions, brain damage and even death. There are many case studies of parents who tell horrific stories of children becoming ill or completely changing their behaviour or personality after a vaccination. Vaccines do have side effects. For instance, the flu vaccine often leaves recipients feeling tired and run down, as if they have a slight case of the flu. This is not the flu at all, rather these feeling are the effects of the body forming an immunity. Other side effects of vaccinations can include pain and swelling, fever and fatigue. Most medical professionals argue that the benefits of vaccination far outweigh these risks. A major criticism of vaccinations has been the link between the MMR vaccine and Autism, with the diagnosis of autism spectrum disorders significantly increasing in line with the increase of children's vaccinations. In 1998, a study published in the UK demonstrated a link between the MMR vaccine and Autism. However, 10 of the 13 authors involved in the study later released a statement that the evidence found was not sufficient to draw these conclusions, and the publishing journal retracted the article. Should vaccination be a choice or compulsory? Ethics also play a role in views on immunisation. When the majority of the community is immune to a illness, that particular illness has difficulty spreading, protecting those that may be too young or sick to be immunised. From this vantage, immunisation can be seen as the responsible choice. Others debate that this is a denial of freedom of choice, and the basic right to make decisions about one's own health. There is much information and misinformation on the subject of vaccinations. Whether making decisions for your child or yourself, it's important to be able to separate fact from fiction. The key to making a decision about vaccinations is to do your own research before making a decision.